David Stanley is a musical director, teacher, composer, pianist, percussionist, theatre organist and silent film accompanist. He studied at the Guildhall School of Music and Drama, King’s College London, the Royal Academy of Music and the Institute of Education. He holds a Post-Graduate Certificate in Education, a Master’s Degree in Musical Analysis and the National Professional Qualification for Secondary School Headship (NPQH). David founded the Southend Mencap Music School in 2001 and in 2012 launched the UK’s first full-time music education service specifically for children and adults with learning disabilities. His ground-breaking ‘Music Man Project’ provides education, enjoyment and access to inspirational performance opportunities for everyone. David campaigns for the equal rights of people with a learning disability to perform at the most prestigious and aspirational venues. He trains his students to become valued musicians and he composes original music for them to perform. In 2015 David made his West End debut as a composer, producer and performer in Music is Magic at the London Palladium. The concert featured 200 of his adult and special school students supported by professional musicians, choirs, the original Tiller Girls and stars of Britain’s Got Talent. It also included the world premiere of David’s musical From the Asylum to the Palladium which told the story of “mental” hospitals where people with learning disabilities were treated as patients alongside single mothers, the mentally ill, homosexuals and poorly behaved children. David composed the charity single Music is Magic which became a number 1 best seller on Amazon’s Broadway song chart. His E-book Music is Magic: The Story of the Music Man Project topped the Amazon Kindle Special Education chart. Since 2015 David has established new Music Man Projects in Essex, Suffolk and Sussex based on his original Southend model. In 2016, he led a 10-day teaching and research trip to children’s homes, day centres and an orphanage in South Africa. This was quickly followed by a visit to Northern Ireland to support a music teacher in Enniskillen. In the same year, he delivered workshops for London-based clients and a seminar for undergraduates at the Royal College of Music. 2017 has seen the launch of The Music Man Project in Kent and in early 2018 David will visit a respite centre in the Commonwealth of Dominica, West Indies to establish a second international outpost of his music service. 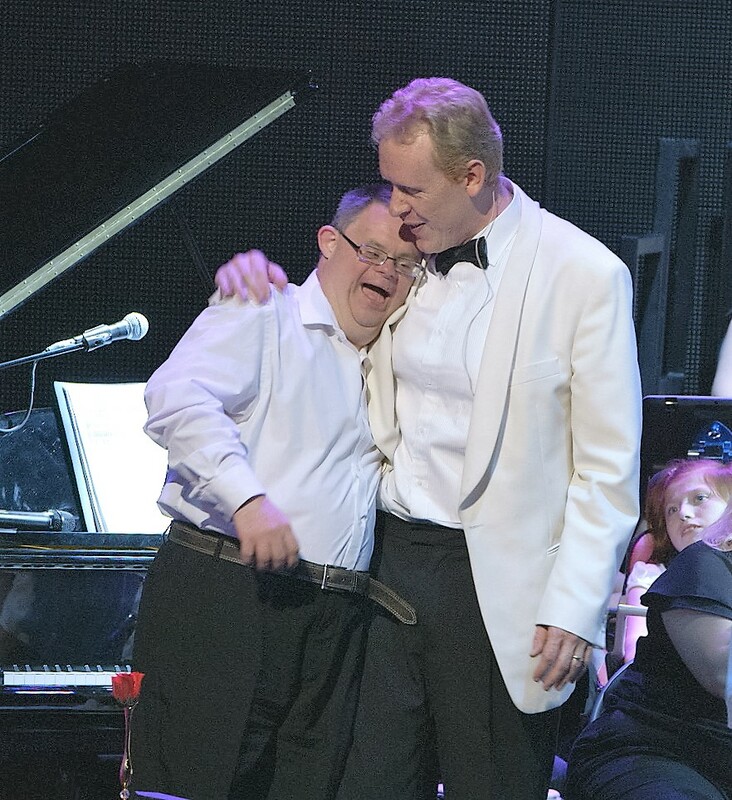 In 2017 David self-published The Music Man Project Songbook, a collection of many of his best-loved songs and instrumental arrangements for musicians with a learning disability. The book includes warm-up activities, sheet music, lyrics and supporting explanations for teachers. Along with the recently released Music is Magic album, the songbook supports students, families, schools, volunteers and other professionals starting their own version of The Music Man Project in communities throughout the UK and beyond. The Music Man Project won the 2016 Kids Count Inspiration Best Creative Contribution Award and David reached the final of both the 2015 and 2017 Music Teacher Awards for Excellence. In 2016 David was made a Paul Harris Fellow by the Rotary Foundation of Rotary International in recognition of his work with charities and for furthering understanding of people with learning disabilities. This year he was also highly commended at the Festival of Learning Awards by the Learning and Work Institute. David’s approach is currently the subject of a PhD research study into the effect of active music participation on well-being among adults with learning disabilities by Maldon Music Man tutor and academic advisor, Natalie Bradford at the Royal College of Music. Immediately before The Music Man Project, David was a Deputy Head Teacher at a Performing Arts Specialist Secondary School, having joined the senior leadership team as an Assistant Head Teacher before the age of 30. He played a pivotal role in helping the school transform its results and reputation, from failing to UK-leading. At the same time, David taught at a full-time Performing Arts College and many of his students have achieved successful careers in the theatre industry, including Lee Mead, winner of the BBC’s search for Joseph. David is also the author of 12 published text books for both the Primary and Secondary School music curriculum. David’s TV credits include playing the Music Master in Channel 4’s That’ll Teach ‘Em and the spin-off quiz show That’ll Test ‘Em. David composed music used in both series, including The Charles Darwin School Song. In 2010, he composed Through the Efforts of Friendship in honour of a school’s visit to the People’s Republic of China and performed the work at the Confucian Institute in Beijing. Hate Crime, his first musical for people with learning disabilities, was premiered at the Essex Police Conference for Hate Crime in 2014 and is to be performed again later this year by the Salvation Army. As composer in residence for Pinpoint Create Production Company, David wrote a new operatic setting of the Anglo-Saxon poem Beowulf in 2010 and the music for an Olympic Torch Relay stage show in 2012, including a new song performed by Lee Mead. In 2013 his Fanfare for Noah was performed at Southwark Cathedral to announce the start of a special performance of Britten’s Noyes Fludde, marking the 100th anniversary of the composer’s birth. In the same year, David’s music for The Nine Wives of Laurel and Hardy was previewed at the UK Laurel and Hardy Convention. In 2015 David wrote the music for a re-working of a Music Hall performance to mark the centenary of the Great War. 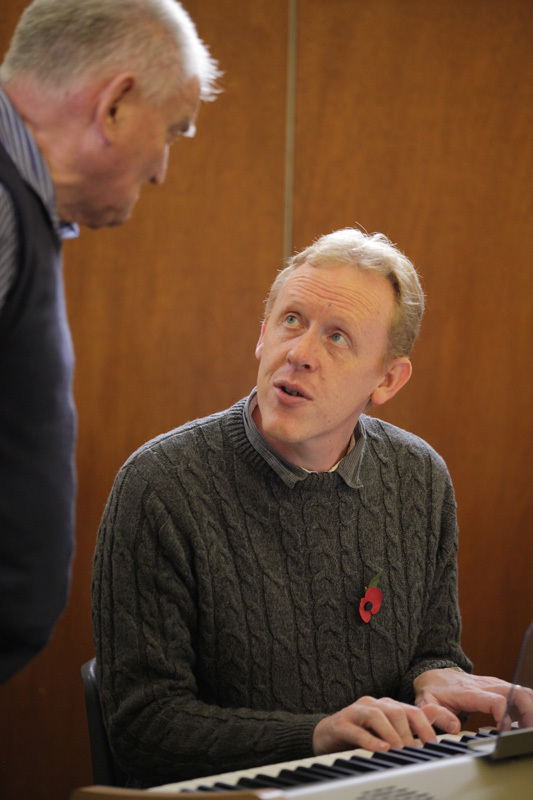 He has also composed four Nativity Musicals for the Salvation Army since 2012. David’s varied career has brought him into contact with some major figures from music, entertainment and politics, including Evelyn Glennie, Patti Boulaye, Sir Harrison Birtwistle, the Right Hon. Boris Johnson MP and several other Government ministers. 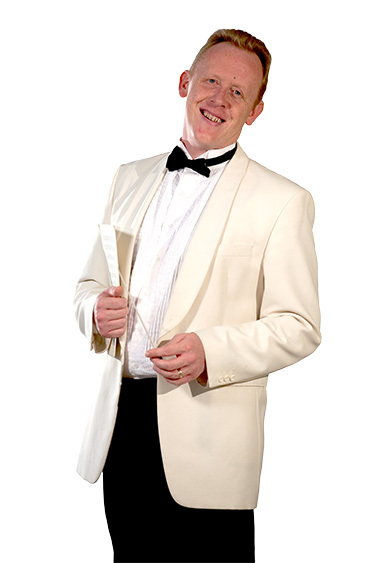 He has played the world-famous Tower Ballroom Wurlitzer theatre organ at Blackpool and has been the musical director for award-winning amateur theatre productions and premieres. Since 2009 David has raised over £150,000 for Southend Mencap and other charitable causes through his concerts and fundraising activities, including performing 24 continuous hours of piano music at the end of Southend Pier and playing a keyboard strapped to the back of a mobility scooter whilst walking for 12.5 miles. David produced a celebrity fundraising calendar to mark Southend Mencap’s diamond jubilee in 2015 and composed 8 pieces for solo piano which were interpreted by artists from around the world in an international music and art competition for charity. David was one of the first Hate Crime Ambassadors in the country and is a patron of the Yardarm Folk Orchestra. He served as a non-party voluntary councillor for Leigh-On-Sea Town Council between 2011 and 2015.